$50 gift certificate to Bridges Restaurant in Danville! 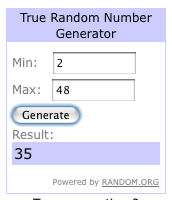 We numbered each entry and used random.org to choose the winning number. Congratulations to Scott E., of Danville on his win! Thanks to everyone for entering, and good luck next time!